You get on fine with your present saddle but you're looking for extra cushioning? The Selle Royal Royalgel Saddle Cover might be just what you require. The saddle cover's foam base is topped with a layer of gel for maximum sitbone cushioning. A channel in the middle helps eliminate perineal pressure. The saddle cover has an elasticated mesh 'skirt' that stretch-fits to the underside of the saddle where it is secured in place with a shoe-lace closure. The base of the Saddle Cover has an anti-slip finish to further ensure it stays in place. 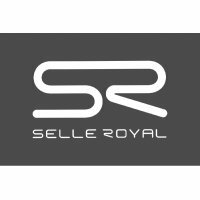 This saddle cover is manufactured by a company who know what they're doing - Selle Royal is one of Italy's longest-established saddle manufacturers. Stats: the large size Selle Royal Royalgel Saddle Cover is up to 230mm across x 260mm long. The medium cover is up to 205mm across x 290mm long.